A new portable device developed by scientists from Nanyang Technological University, Singapore (NTU Singapore) can detect trace levels of heavy metals in drinking water in just five minutes. Inspired by the ability of the human body, the device can generate test results quickly without needing to bring samples back. This makes it convenient for on-site water testing. In a press statement, NTU explained the secret lies in an organic substance within the circulating human bloodstream, called a chelating agent. It detects and binds to heavy metal ions, thereby preventing the heavy metal ions from interacting with other molecules and enzymes in the body. The metal ions are then marked for excretion from the body. 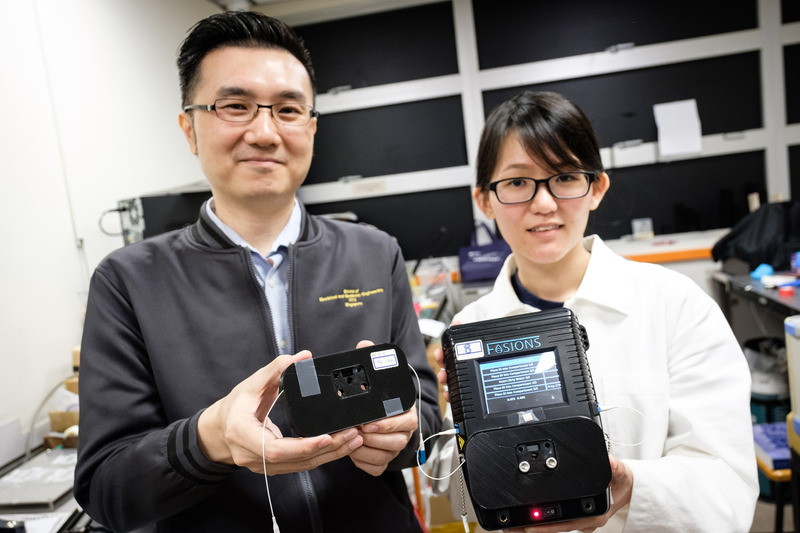 The handheld device developed by Associate Professor Yong Ken-Tye and Professor Tjin Swee Chuan from NTU's School of Electrical and Electronic Engineering combines a chelating agent with an optical measurement system. “Our device is capable of conducting on-site water quality tests quickly and can detect up to 24 types of metal contaminants, which is double the capacity of other commercially available water sensors," said Assoc Prof Yong Ken-Tye, holder of the NTU Provost’s Chair in Electrical and Electronic Engineering. “Using a chelating agent in the device ensures that its sensor is as sensitive in detecting heavy metals as the body’s natural defence mechanism against metal intoxication."